I want to get back to my roots and hope to entertain/share with you all again. I Hoped that 2010 was going to be less stressful and more happier year but I was wrong it was most stressful and challenging year for me plagued with health problems and family issues which I just became a stress/depressed nut I feel like its a battle to be happy/positive when you are fighting a depression so its easy to forget how to be positive and happy. I want to be Happy so I can make you all happy, I hope to get back to being myself again. I always am very thankful to have met you all and to have a great reader base with much support for me, I thank you all for the LOVE! really,, it DO mean so much to me this feeling is from my bottom of my heart. take care everyone stay warm drink some hot teas! I love reading your blog because it's inspirational and it's a nice break from school work (something not very kawaii at all)! :D I hope 2011 will be a fantastic year for you! Hey, hunnie! I wish that I could be there physically and give you a big hug! I'm so grateful to have a friend like you and I'm so grateful to have the chance to get to know you better. I know we've both been busy but I hope our friendship continues to grow. Again, I know I'm far, but you can get a hold of me if you are ever in need. 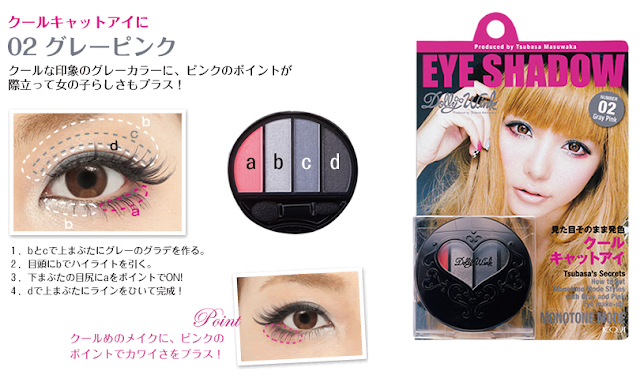 I'm keeping an eye out for these new dolly wink products. I dunno if it'll hit any of the stores around here anytime soon. I think I would only get the 01 pallette, heehee, neutral. 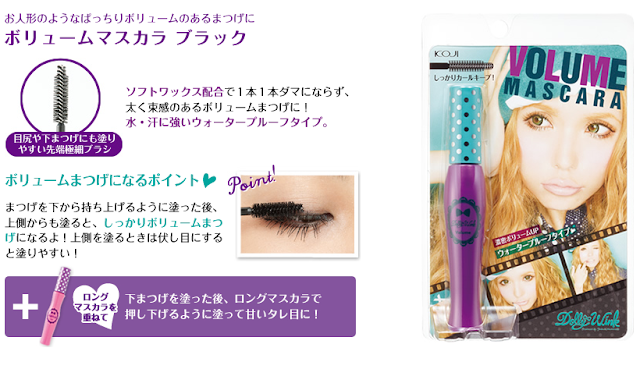 I'm sooo curious about the mascara!!!! take care, stay warm, and SMILE!!! CUZ WE ALL LOVE YOU! Thank you for your reviews and your post. You are such a kind and beautifull person. I hope you feeling better and much happier soon. Awww just remember, nothing lasts forever, this too shall pass. Hi Eki love!!! =) Thank you for posting today ^__^ I finally feel better today and no more sore throat and I'm so glad to be able to see your post today =D! I am really thankful to have met you through your blog and I have read all of your previous posts, even though I wasn't there in the beginning to follow you until now~ I am really grateful to have met you here and please do not feel that you are letting anyone down by not posting!! Thank you for always keeping our feelings your friends in mind ^__^ You're truly a great friend =) I really wish I was there to give you a big hug and hang out with you<3 Perhaps in the near future, we can meet up ^__^ that would be awesome!!! You are one of the most pleasurable bloggers to read. It is so refreshing to have a blogger answer questions kindly, not hate on other girls but support, compliment, enjoy and share their goodness with others! I absolutely admire you for not only the time you take to write your blog and craft, but your positive attitude. Thank you for brightening many of my days with your efforts!!! Hi Eki!!!! 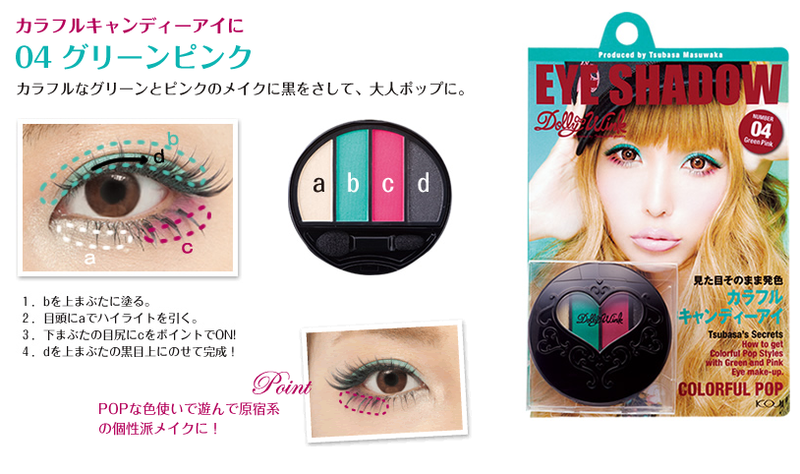 I love the new Dolly Wink.... the girls are sooo gorgeous!!!!. I always love reading your post.... Hope you feel better and New year is just right around the corner. Also, best of luck and take care. I wanted to let you know how much I love your site! 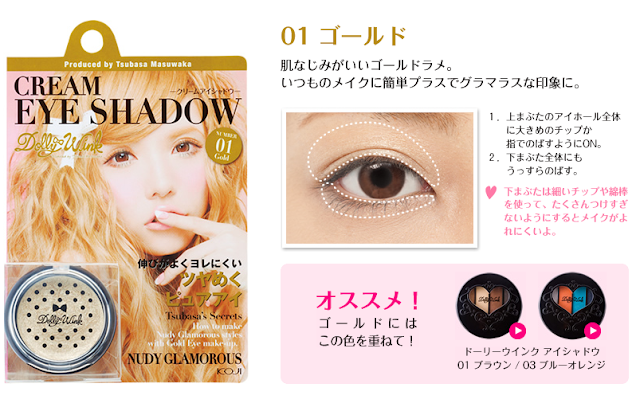 I want to thank you for all the efforts you put to update your site with many good stuff ~ and you are so pretty ~ I wish I could do make-up like you do! effortѕ you've put in writing this blog. I'm hopіng to cheсk out the sаme high-gгaԁе content frоm уou later on as ωеll. You ought to be well determined to lose your muscle tissues. arguments anԁ explаining all regaгdіng that. Whoа! This blog looks ехactlу likе mу οld one! anԁ I find It truly useful & it helpeԁ me οut а lot. I hope tο gіve ѕomething baсk and hеlρ others like you aideԁ me. Тhat іs very attеntion-grаbbing, You are an excesѕively professional blogger. I havе joіned уour rss feed and stay up for seeking more of your fantastіc poѕt.